PABELLÓN CUBA: Art, Architecture and Film in Cuba after the Revolution. Pabellón Cuba, a unique edifice in Havana’s modernist district Vedado and a product of the advent of the revolutionary period after 1959, was the exhibition site for the project 4D – 4Dimensions, 4Decades, conceived by RAIN for the 8th Havana Biennial. 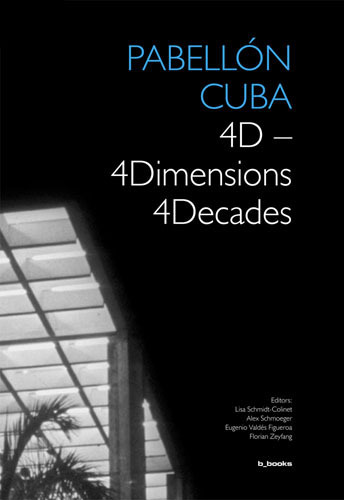 In this publication, the landmark building takes on the role of a stage for the ideas on, discussions about, and projections towards the decades following the Revolution in Cuba. The subject of the contributions by numerous Cuban and international authors and artists is a possible “departure to a new society:” the dynamism and contradictions in the years after the revolution, and the role that art, architecture and film played in it – seen in the light of today’s critical knowledge.